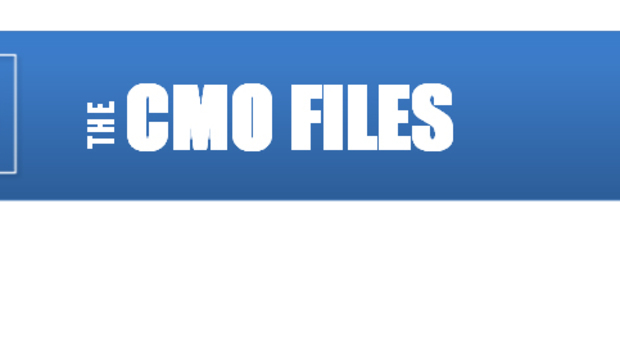 The CMO Files: Tim Riesterer, Chief Strategy and Marketing Officer, Corporate Visions, Inc. In a small town called St. Nazianz in Wisconsin (population around 630). In 5th grade, I started helping my grandfather whitewash barns, which included covering cattle stanchions and drinking cups with burlap bags, scraping manure off walls and taping windows. As a young consumer, I couldn’t get enough of my Evel Knievel stunt cycle and all that went with it. As a young marketer/communicator, I was thrilled to be a part of the early days of MRI technology (late 80s) and the breakthroughs it presented for modern medicine and patient care. My high school English teacher, who convinced me that my curiosity and writing skills would make me a good journalist, and my high school choir director who convinced me that taking the lead in musicals would be a career builder. Outside of helping my wife raise four daughters and keeping my marriage strong through the teenage years, it has been helping lead a company from $6M to closing in on nearly $60M in five years while creating an industry category and thought leadership around the “customer conversation,” including co-authoring two books on the topic. Helping a company spend millions of dollars in venture capital on a software start-up where the product couldn’t deliver on the hype and positioning I helped create. Even though it was not a success, it was one of the best learning experiences of my career. Clarity – taking complex, abstract thoughts and inputs from a variety of sources and making meaning out of them… and then turning around and inspiring the change around that insight. Being someone who tries to get everyone on the bus, but doesn’t get why people might not want to be on the bus, and instead of seeking to understand their reasons, just leaves folks in the bus-dust. Business marketers who don’t realize that every good product and plan comes down to a salesperson with his/her lips moving – and who, as a result, get caught up in all the fancy-pants marketing stuff, but neglect the trench-work needed to succeed in the field. Mantra – “The Best Story Wins,” because a great story, told great, will break through perceived parity to create differentiation where very little exists. Squirm – “Selling is an Art,” because even though it takes great storytelling to win, stories are well-choreographed based on the brain science, social psychology and behavioural economics behind human decision making and change management. In other words, sales messaging is a science, which is then wrapped in the art of purposeful storytelling. Drive a boat to the middle of a lake with my wife, drop anchor, eat a pizza and listen to the Zac Brown Band. The Bible. I learned that I’m never as good as I think I am; I can’t do anything alone; and that I must have a perspective and purpose that transcends the trials of the day! I grew up in Wisconsin – Go Green Bay Packers! Typically you can’t see it, because it doesn’t happen at the 30,000-foot level… it happens at the three-foot level where a salesperson’s lips move in front of a customer and all of your best laid plans and positioning either work or they don’t. Creating an industry category called Customer Conversations and building the company, solutions and thought leadership to make it real, make it count, and make it profitable. In addition to the Bible, I still feel the “7 Habits of Highly Effective People” is one of the wisest leadership/personal development books ever written. Hoping and praying that each of my daughters won’t choose a loser for a husband. Is Bullying Rife in Tech? Which World Cup Team Best Describes Your Style As A Finance Leader?